This winter I gathered some seed from a yucca (Yucca filamentosa) and saved it. I’m not sure exactly why other than I thought it might be interesting to see how they grow. I do that sometimes, where I just attempt something for the sake of attempting it (I once planted lemon seeds from a store bought lemon to see if I could get lemons after ten years and several bouts of spider mites no lemons). I’m not even a big fan of yuccas but I know many others are. I like the flower spikes that pop up when in bloom but something about the blade like nature of the leaves feels a bit dangerous, especially with young children around. They are very neat to look at and remind me of desert areas not only for their appearance but also for their drought tolerance. Anyway I decided to try my hand at propagating a few through seed. I planted a large flat of 9 packs with about 54 seeds. I figured if I ended up with too many extras I could always give them away. I planted the seeds then left them on my back deck for several weeks. I watered them once or twice (when I thought about it) but rarely paid them any mind. 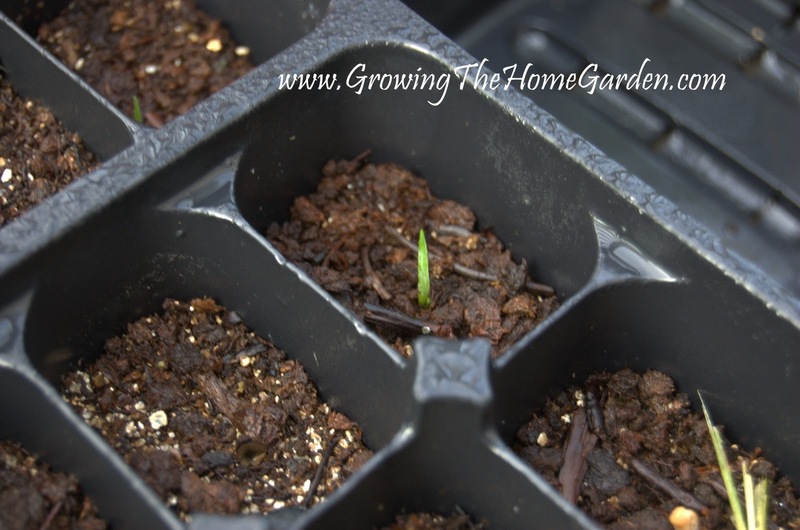 I was almost ready to throw in the towel on the yucca seeds when I spotted a few little leaves coming up this morning. 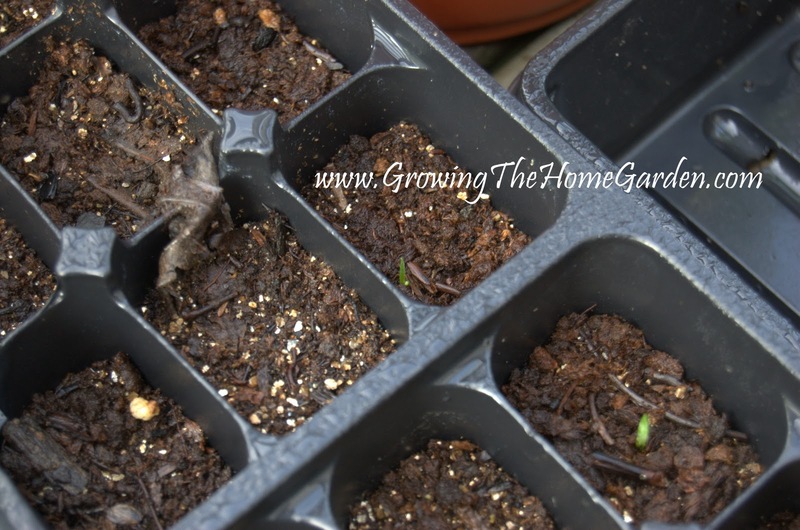 So far the seedlings only number four but I suspect that more will be coming up soon. The first picture shows the tallest yucca while the bottom picture shows 2 others that sprouted. I’m interested in seeing how fast the yuccas grow into full size flowering plant so I’ll revisit them for occasional for updates on their progress. Sorry I had to throw that in here somewhere! They look good in someone else's garden. I used to have them but they eat me up & the wounds take forever to heal. It was just another test to see how they went. I'm debating a booth at a festival later in the year. We'll see though so many things to think about! The are tricky to work around! That's the same reason I'm hesitant to plant them.